This Yellow Banarasi Silk Dress Material is hand woven with silk threads; add a unique luster to this traditional dress material. 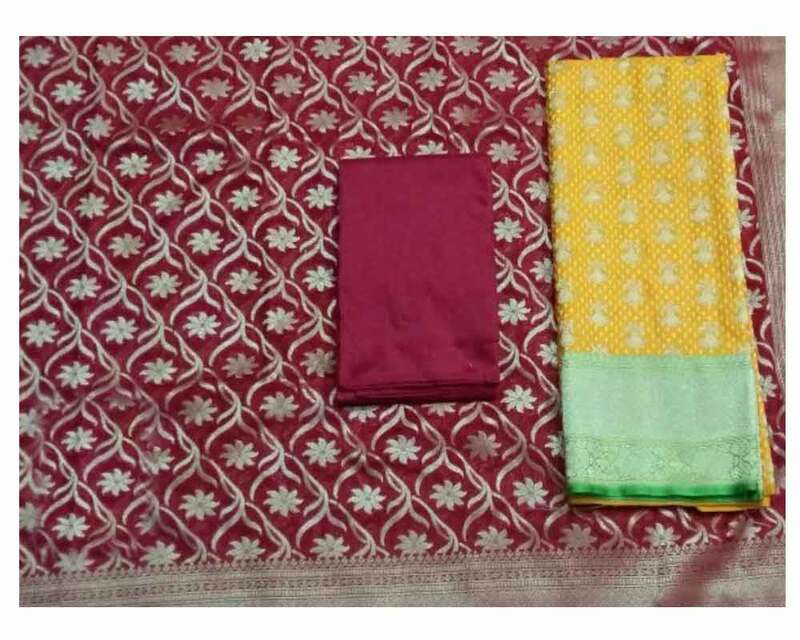 This Handloom Dress Material comes along with Maroon colored Bottom and Duppatta. The Cotton Silk bottom of this Dress material will feel good acoss the skin. 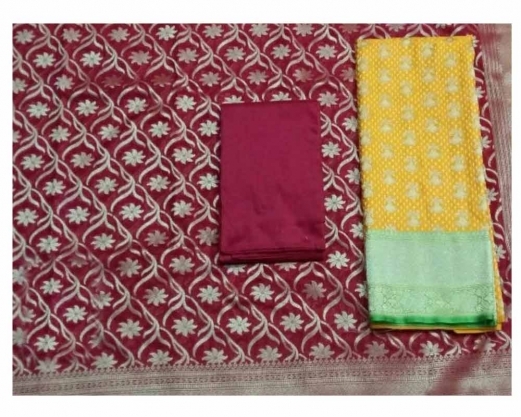 The Duppatta has beautiful Maroon coloured Banarasi weaved Floral patterns. Acessorise this Dress material with jewellery of your choice.